Having played with a BeagleBone Black a while back, I thought I'd try out the newly released Raspberry Pi 2. Quad core CPU with 1GB of RAM sounds like it should be plenty grunty for SoC computer. Here's the process I used to set it up. I tried both Snappy Ubuntu and Raspbian. Since Snappy has no desktop at the moment, and that's the main thing I wanted to try out to start with, I basically satisfied myself it was working and then jumped over to Raspbian. A micro-USB power supply — basically, a phone charger. I got a 2A one from Element14 with the Pi. A microSD flash card. I got a 16GB Patriot that came with a USB adapter to make it easier to copy files to/from. You could also use a card reader if your computer has one. This install is using a Linux desktop computer to set up the Flash card. I'm sure there are guides out there for Windows/OSX if that's how you roll. OSX may be similar enough that the command-line options will work too, I'm not sure. Unzip the downloaded zip file to get at the pi-snappy.img. Insert the flash drive into your computer. Find out the device name using something like df if it automounts or fdisk -l if not. It will be called something like "/dev/sdc1". Drop the number at the end for the commands below — you need to flash the entire drive, whereas sdc1 is the first partition on the drive. Unmount the flash drive if you need to. It might take a while to flash the img. Play a game or something while you're waiting. 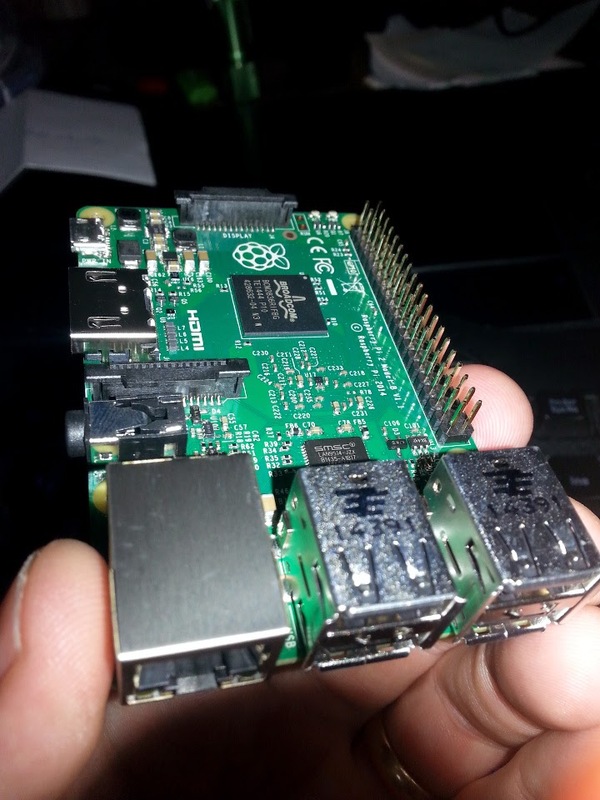 Take out the flash drive and put it in the Pi. 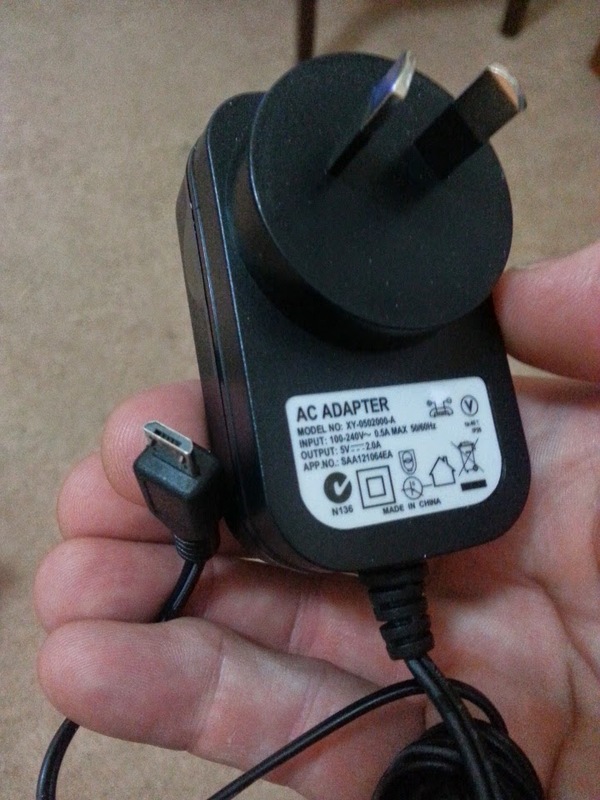 Connect up keyboard/mouse/monitor, then plug in power. For me a "rainbow screen" popped up, then an image of 4 raspberries. Then it cycled around again and finally got to a login prompt. It took a long time, so I'm not sure whether something went wrong and it rebooted itself, or if that was normal. Default login for Snappy is ubuntu/ubuntu. 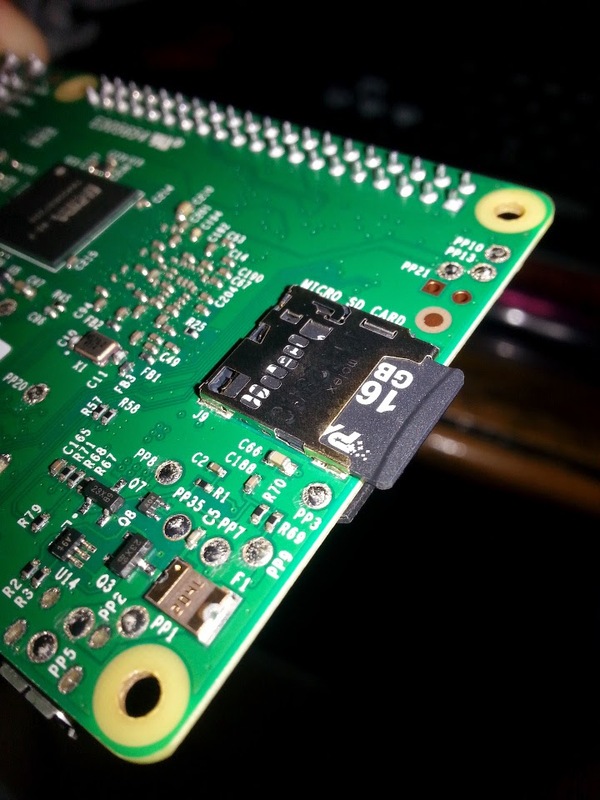 Put the SD Card back in the Pi. When it boots it will come up with an installation screen. Select Raspbian and optionally the Data Partition if you want it. 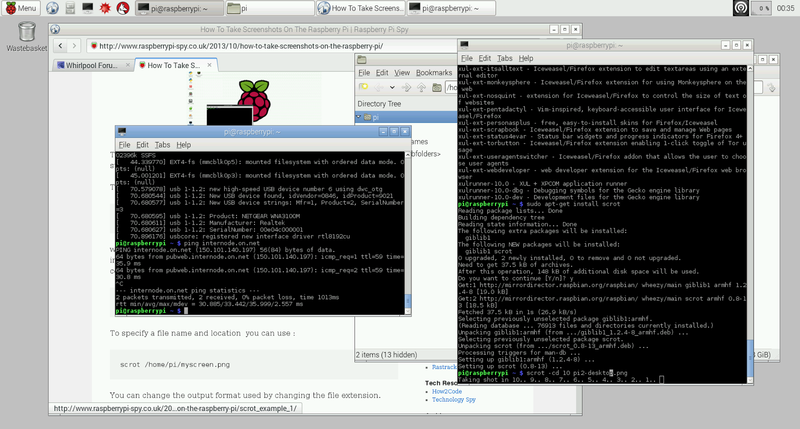 It will then blat the drive with the Raspbian install, which will take a while. Once complete, it should reboot and bring up another menu. I selected [1 Expand Filesystem] to make the rest of the SD card storage available, but it told me NOOBS had already done this. Then I selected Finish and it went to the console, selecting 3 (or 4?) to boot to desktop might have been a better option in general because that menu no longer appears on subsequent reboots. Logging in to the console (username: pi, password: raspberry) you can start the desktop by running startx anyway. Interestingly, I plugged in my Netgear WNA3100M (cheapy USB wireless adapter), and it connected right away. With the BeagleBone in comparison I got stymied trying to find firmware for that device. Score +1 for Raspbian right there. Initial play with the Pi 2 shows the desktop to be pretty snappy, feels quite usable. There are few glitches in the rendering and occasionally you see artifacts if you, say, scroll the browser too fast for it to keep up, but overall the "feel" wasn't too bad. Will have to give it a bit more of a go to see what it can do.